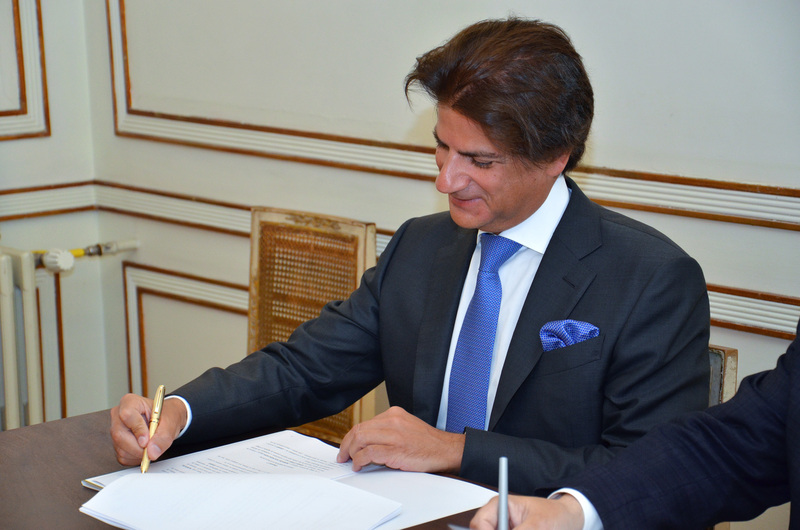 Under the terms of the agreement the Mirpuri Foundation will sponsor and support a number of projects including bringing to Portugal some of the best classic dance artists, the restoration of the facade of National Opera S. Carlos to its original splendor and a new dancing floor. OPART – The Organization for Artistic Production E.P.E., responsible for managing the São Carlos National Theater and the National Ballet Company in Portugal, and the Mirpuri Foundation today, the 27th of July, signed a cooperation agreement that foresees the fulfillment of joint cultural actions in the areas of dance, music and theater until 2022. To begin with the new agreement contemplates the presentation of the Mirpuri Foundation’s 2018 Dance, Music and Theater Awards, created with the aim of recognizing cultural activities of excellence and stimulating the quality of artistic production in Portugal. The ceremony will take place in the Main Hall of the São Carlos National Theater on November 3 and will feature the participation of the Portuguese Symphony Orchestra. The Mirpuri Foundation is deeply committed to supporting the arts by implementing initiatives that contribute to the preservation and strengthening of cultural heritage. 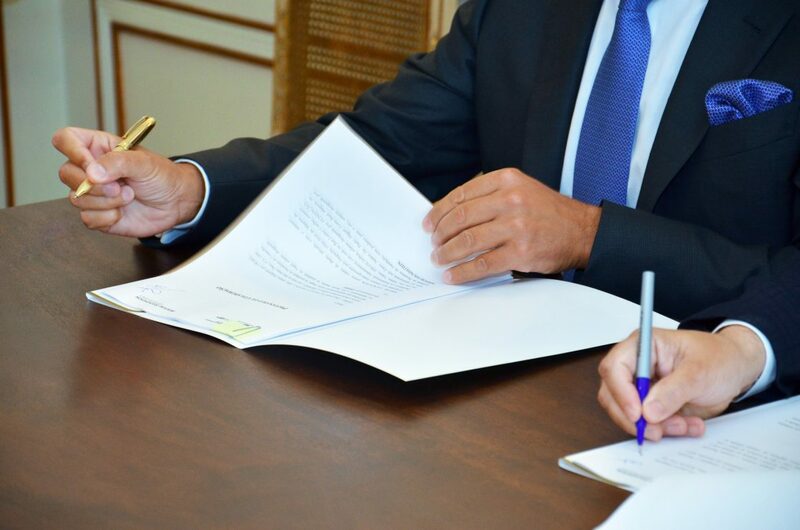 Within this scope, and as part of this Protocol, it will sponsor the cleaning and restoration of the main façade of the São Carlos National Theater in 2019. It will also donate a proper surface more suited to dance performances on the theatre stage, still in 2018. The Protocol signing ceremony took place in the São Carlos National Theater and was attended by the President of the Mirpuri Foundation, Paulo Mirpuri, and the President of the OPART Board of Directors, Carlos Vargas. The Mirpuri Foundation is a non-profit organization established in Portugal by businessman and philanthropist Paulo Mirpuri. Conceived to create a better world for future generations, the Foundation has established partnerships with governments, businesses, communities and individuals to develop specific projects in the areas of culture, ocean and wildlife conservation, social responsibility, and research in the fields of medicine and aerospace. OPART aims to provide a public service in the area of ​​classical and ballet music through the São Carlos National Theater (SCNT) and the National Ballet Company (NBC). OPART also ensures the promotion and production of a diversified musical and theatrical program, including music, opera and ballet, always maintaining high standards of excellence and quality, enabling citizens to access and enjoy artistic activities, while ensuring the conservation of the SCNT and NBC buildings. 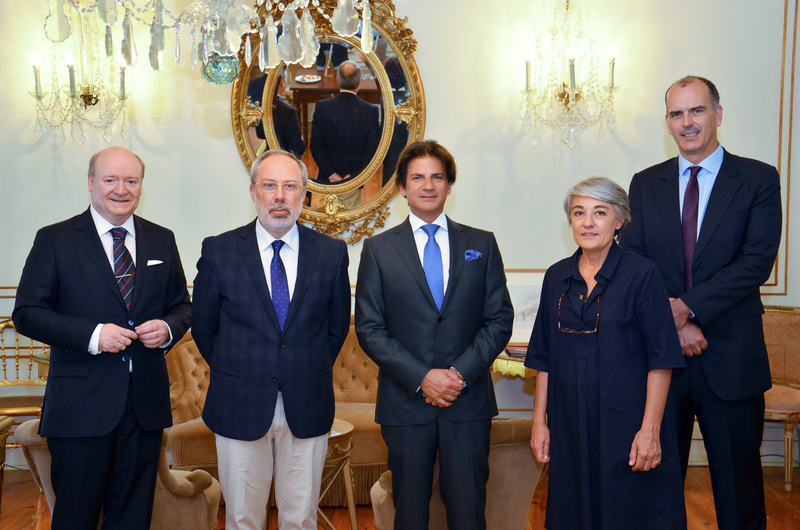 Photo, from left to right: Manuel Guerra Pinheiro, Member of the Board of Trustees of the Mirpuri Foundation, Carlos Vargas, President of the OPART Board of Directors, Paulo Mirpuri, President of the Mirpuri Foundation, Isabel Corte-Real, Head of the Office of the Secretary of State for Culture and Samuel Rego, Member of the Board of Directors of OPART, E.P.E.